The gathering/soirée at Pedram Bral’s home on Sunday, March 17, has become news. The photographs were posted on the Village of Great Neck website, though probably they should not be there given the presence of nonresident developers and the absence of residents. Also pictured are Nassau County Executive Laura Curran, Town of North Hempstead Supervisor Judi Bosworth and the mayors of other Great Neck villages. Residents who have seen the photographs say this is Mayor Bral’s announcement he is running for reelection, with the implication he will have help from the people he invited to his home. At that village meeting, something else happened that was rather awful. to rezone. The research became a narrative accompanied by full-color charts and graphs. We planned to put this 12-page packet into the record of the hearing on rezoning. We arrived early at Village Hall to prepare for handing out the packets to the residents so they could follow our presentation at the hearing. We set up on the countertop in the foyer, separating stapled sections into groups. We had 100 sets and expected a crowd. I gave a set to the stenographer. A group of us residents would be presenting different sections of it. I offered to email her the text and asked if the visuals would be treated as exhibits. She said yes. In the foyer, the assistant village clerk came out and stood reading the document, and then she scooped up a set. I told her, “These are for the residents and you should leave it.” She ignored me and answered, as she hurried away, “I just want to take a look at it.” I put down what I was holding and looked for my bag before I could follow her. By the time I rounded the corner, she had passed her own office and was at the far end of the hallway at the office of the village clerk. When I arrived there, the trustees each had a section of our document open and were reading. I must have looked pretty grim because when I put out my hand, one trustee handed the document back to me. I returned to the foyer where fellow residents were still sorting. I told them, with indignation, what had just happened. A few minutes later, the assistant clerk hurried by while tossing off a verbal jab: Never mind, she said, she had taken the set I had given to the stenographer. I headed around the corner and down the hall. The clerk’s door was closed. I opened it and said something about their outrageous behavior and put out my hand. No trustee handed it over, not Mendelson, Sobel or Hope. IV. Public Hearing—Continuation of Public Hearing for proposed legislation in connection with proposed Local Law #3 in relation to amending the Village Zoning Code. But the public hearing did not continue. The mayor announced he was closing the hearing and would take no comments, and each trustee responded in turn, “I agree with the mayor, I agree with the mayor….” They did not so much vote. They lined up. 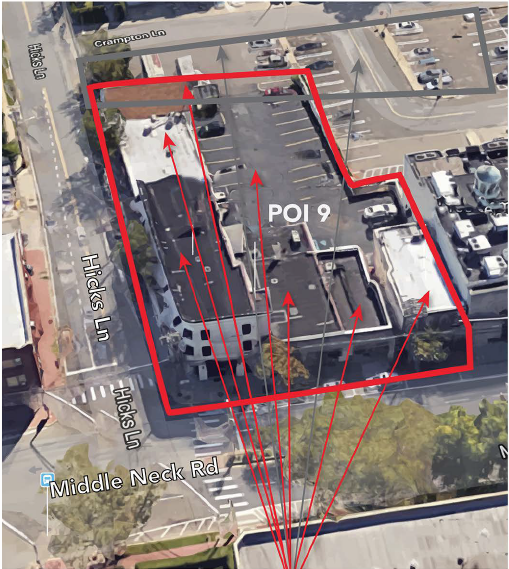 They had seen our document on property ownership in the “corridor” the mayor wants to rezone, and they knew they were preventing it from being placed in the record of the hearing. 1. Twelve pages of research showing the underbelly of the “corridor” and rezoning plan. 2. A letter by an expert in hydrogeology discussing the peninsula’s fragile water supply. 4. A table showing the federal census population of Great Neck, 1960 to 2010 with a commentary explaining it. 5. Excerpts from the Nassau County Planning Commission (NCPC) official disapproval of the application for a recreation center on Steamboat Road. The NCPC reasoning cites adverse impacts that would apply to the rezoning of Middle Neck Road as well. Mayor Bral ended the hearing and the “corridor” plan for Middle Neck Road, but only sort of. The board did not abandon the EIS (Environmental Impact Statement). 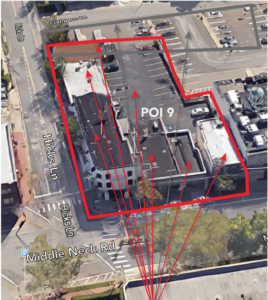 They intend to transform the Draft (DGEIS) into a Final (FGEIS), the attorney explained, which would prevent any more input from the community on any incarnation of rezoning. On the record I requested that any new EIS not be Final. Last year, the mayor formed what he called a Citizens Advisory Committee. He hand picked seven people, two of whom do not live in our village and are developers. He said it was a mayor’s committee for him to consult with. He also said, when asked at a public meeting, that residents could not sit in at the committee meetings and listen. So it was a secret committee on the public’s business. This became a repeated violation of the Open Meetings Law of New York State. The research on the ownership of the properties in the “corridor” confirms there is something wrong. The mayor’s rewrite of the zoning code was drafted to suit the owners. We believe this is spot zoning camouflaged, and it is illegal. We had a conversation—a group of us residents—and the parallel seems to be if you attempt a murder and fail, you are still guilty of attempted murder. Spot zoning has not been achieved, but it was still spot zoning. When the mayor inserted “Assisted Living” into the proposed new zoning as a developer’s right, it did not even specify which level of assisted living. As a village, we have opposed all the after effects of the legislation promulgated by the mayor and his trustees that would deplete our fresh water, pour more concrete and make Middle Neck Road a canyon of tall buildings, bring our public schools too many students to handle and leave all of us sitting in traffic jams no tranquil suburb should have to endure. Rebecca Rosenblatt Gilliar founded the Great Neck Old Village Civic Association in 1987 with her husband, Raymond. The people who joined the citizens advisory committee volunteered to participate. Why didn’t she? This was advertised many times in the paper.